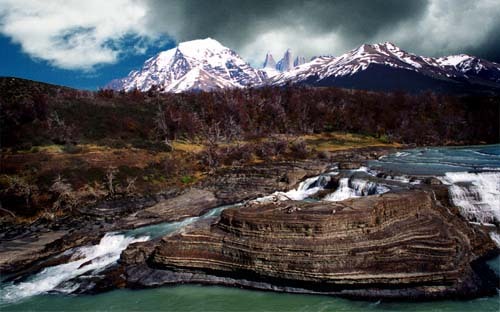 Another view of Torres del Paine. The Paine River is in the foreground. This day was warm and sunny with ominous clouds always lurking.